PennsylvAsia: "A Comparative Study of Ethnic Minority-Serving Higher Education Institutions in China and the United States", April 10 at Pitt. "A Comparative Study of Ethnic Minority-Serving Higher Education Institutions in China and the United States", April 10 at Pitt. 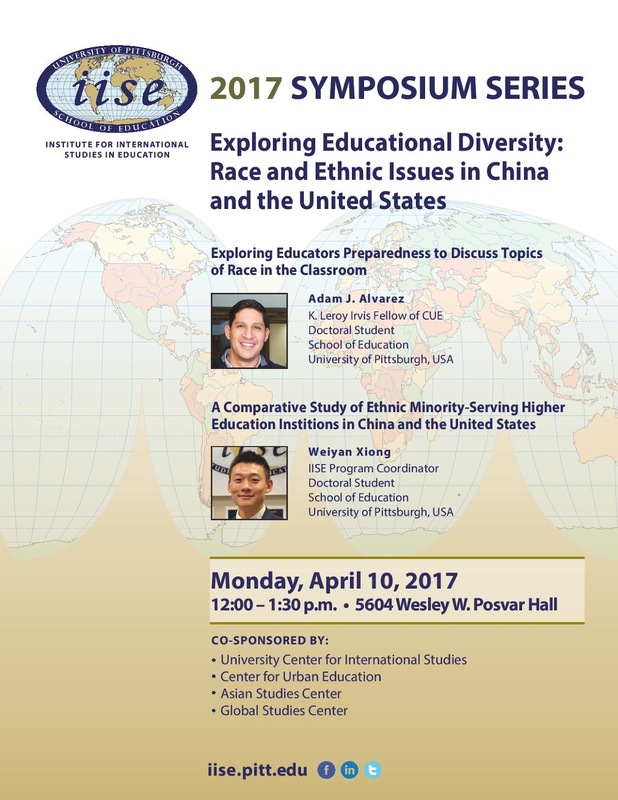 The University of Pittsburgh's Institute for International Studies in Education will host PhD candidate and IISE Program Coordinator Weiyan Xiong and his talk "A Comparative Study of Ethnic Minority-Serving Higher Education Institutions in China and the United States" as part of this term's Symposium Series on April 10. The event runs from 12:00 to 1:30 pm 5640 Posvar Hall (map) and is free and open to the public.